Morning Peeps, a scheduled post here.........you will see why further down, but it's Saturday which means a new challenge at Allsorts where our lovely Sarah has chosen the theme of 'It's a Stitch Up', our sponsors are FlonzCraft and Marianne Designs. As you can see I have made an Anniversary card, the colour of the stitching gives it away a little......yes it's for a Silver Wedding Anniversary, a rather special one at that, our daughter and her hubby, how scary is that as it doesn't seem five minutes since their wedding and here they are at their 25th and hubby and I well past our 40th. Their anniversary is actually on Tuesday but I am totally safe blogging it today as she has never taken as much as a quick peek at my blog.......far more important things to do with her time ! Like her Mum she married very young in her teens and also like her Mum did the whole family bit before doing her degree, but it worked well as I was able to look after the children when they were little so she could follow her dream of becoming a history teacher. She wanted a no fuss anniversary so is she going to get it...................no of course not and this afternoon we are having a rather large party, something I have been planning for months with her children and so far neither her or her hubby have a clue it's happening. There have been lots of clandestine arrangements being made and the last couple of days early food prep like cooking the ham, desserts and finishing touches to the cake either whilst she is at school or at the crack of dawn...............she lives just across the garden you see. Many years ago before MS took control of my fingers and dexterity I used to make and decorate wedding cakes with delicate sugarcraft flowers, but have not ventured anything more that a Christmas cake for years. However, having looked around for a decent Anniversary cake nothing really impressed me, plus I wanted it to reflect their wedding cake which had sugar lilies, roses and trailing ivy to match the bouquets and floral displays in the Church and marquee. And there had to be lots of pink, from a little girl she always wanted to get married in that colour and she did, a beautifully made gown of pale pink raw silk an exact replica of a Catherine Davighi gown she had set hear heart on but which carried an unrealistic price tag. So back to the cake and I decided I would have a go at making the flowers myself, after all as the girls told me, I make paper flowers to go on cards so what's the difference, fair point and I am really happy with the outcome, I will share some photos during the week. OK, enough rambling and a quick run down of my card to match the pink colour theme, machine stitching in silver thread, Heartfelt flowers......I know they are not lilies but the ivy is there and the pink pearls along with a Penny Black sentiment and some silver flourishes which I distress and inked to tone them down a little. I also made a matching box but forgot a photo of that. So you will hopefully understand from the above my absence from blogland most of the week, so much shopping and cooking to be done and very little time for anything else, but all should be back to normal next week. Morning Peeps, it's Saturday so that means a new challenge at Allsorts where Wendy has chosen the theme of 'Film Titles', our sponsor is Nicecrane Designs. 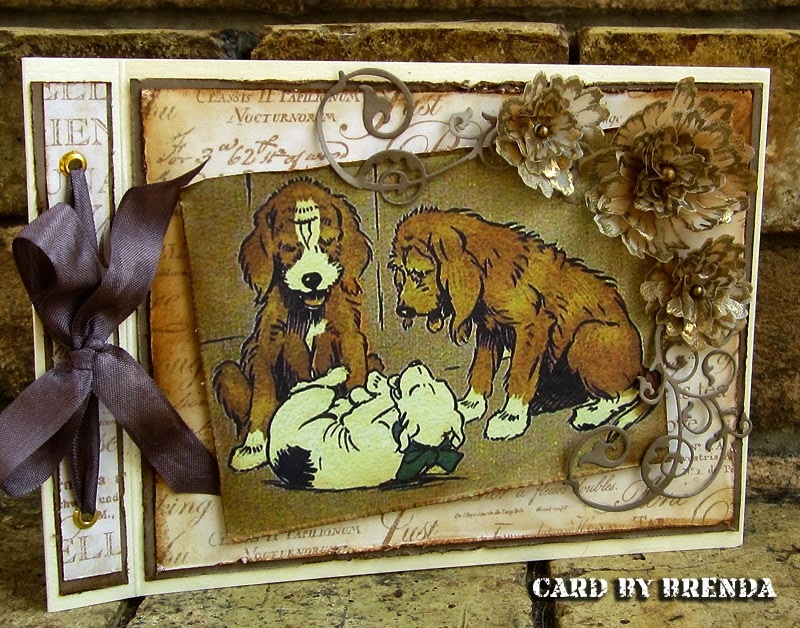 Obviously I wanted to make a card using one of Ignacios images, but I also wanted to do something based on my all time favorite movie 'Gone with the Wind' and used two stamps I have had for years which I know came from the States but I really don't remember the make. So as I said above two really old stamps, some DP from stash, little roses made from the same DP, lace and cord and a flourish which was cut on the Cricut. And my second card using one of the September releases from Nicecrane Designs called Colourful Flower Fairies is my take on the movie 'Memoirs of a Geisha', I read the book when it came out years ago and later saw the movie and it's a really captivating story of Chiyo Sakamoto who along with her elder sister was sold by her family as an Okiya to a Geisha house, her new 'family' then send her off to school to become a Geisha. It's one of the few movies I have watched which actually bears a pretty close resemblance to the book. When she eventually became a fully fledged Geisha she had a silk kimono made in shades of gold and orange with floral blooms and this image reminds me so much of the way it was explained in the book. Morning Peeps, hope you are all OK and gentle hugs to those in need of them. I have again been lucky to play with some if Ignacio's new images over the weekend and down below is a freebie from him for you all which you can lift for your own use. 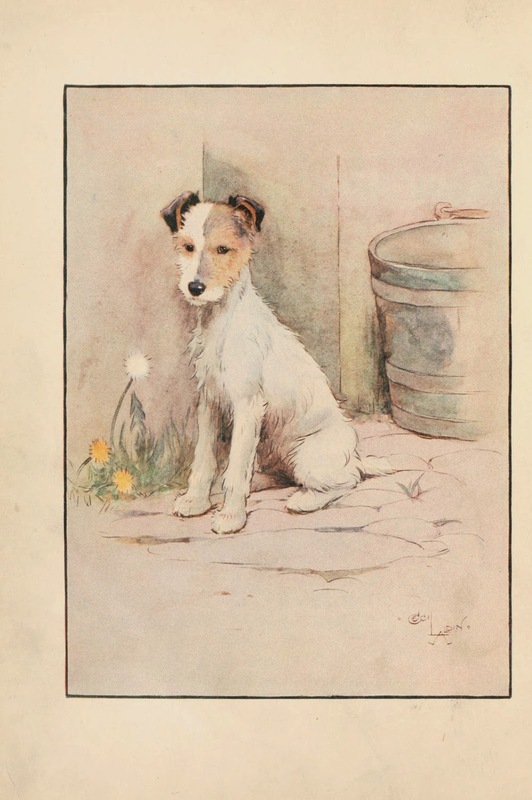 Needless to say it was the dogs that I particularly liked, not only are they popular with the family but are ideal for the Animal Health Trust at Newmarket where I donate most of my spare cards. They sell really well in their Visitor Center and those with animals are especially popular, at the moment they are selling faster than I can make them...... the seventy I sent at the beginning of August had sold out by last week so another batch are on route as I write. The sentiment on the top card is one of the new dies from All Occasion Dies by Robert Addams, we all know the name and he will be part of the new British Craft Network which launches at 9am on 1st October (to avoid confusion although it has 'TV' in the title it will actually be internet based, therefore available to the vast majority of us). They are such clever die sets, the Happy comes in one set with the sentiment in two sizes and matches exactly the Birthday, Christmas, Anniversary and so on which also have dies in two sizes in each set, they cut like butter and excellent value as well. 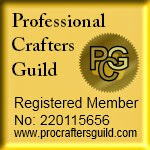 Note added: I have just been passed this link about the new British Craft Network, interesting reading. I have several more in the making and will share in due course. If you would like any of the sets and why wouldn't you because they are so cute, you will find links to them all under each of my photos. I made this one quickly this morning using the freebie, my youngest granddaughter said she thought the terrier looked sad but some ribbons and gems might cheer him up, so I duly added some of both and she was satisfied with the finished result. Personally I think he is rather sweet. I must say thanks to Ignacio for working his magic and enhancing my photos and also the freebie and not forgetting my thanks to all of your lovely bloggers for popping in today. Hope you have a good Tuesday. Morning Peeps, Saturday morning and time for our new challenge at Allsorts and this week Tracy has selected the theme of 'Sugar and Spice', sweet and pretty girly creations or perhaps something for the sweet toothed. Our sponsors this week are Crafty Devils and Scrappers Delight. Afraid I have been a dreadful blogger this week, we are decorating a couple of the bedrooms and it seems to be taking forever, I am sure when I was younger I could get a room painted in a day, so what changed, a few more years on the clock I guess. So huge apologies I have been so absent in my visits, planning putting hings to rights over the weekend. For my card.................which has been beautifully enhanced by Ignacio, thank you...............I have gone with the girly element and used one of the pretty new Colourful Flower Fairies from Nicecrane, Graphic 45 DP's, lace and ribbons. 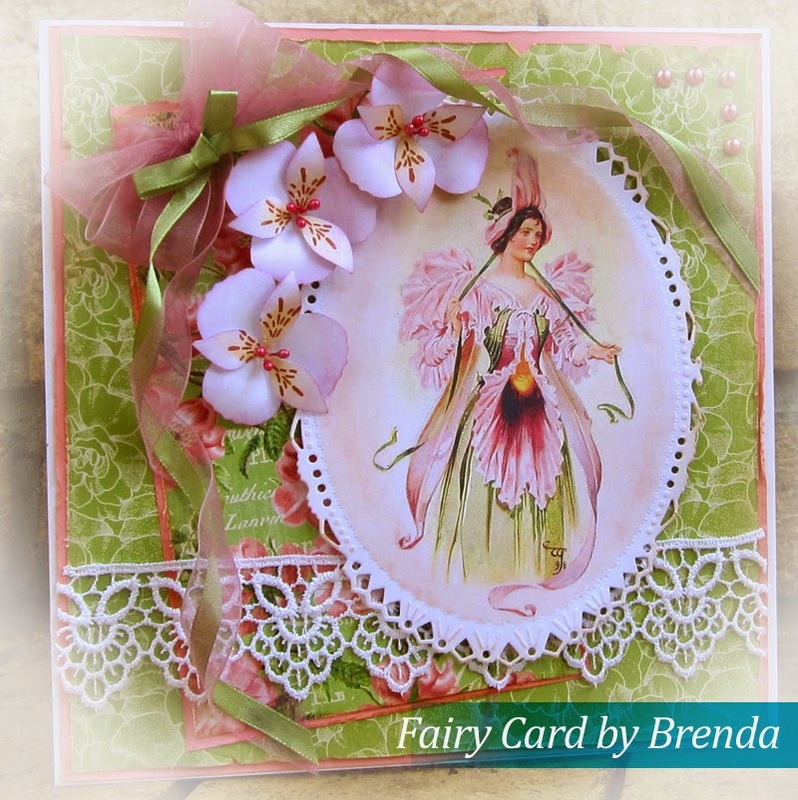 I really like the floral dress on this fairy and made three Peruvian Lilies to match using Ruth's Tonic Punch and Stamp set, shading the flowers with a little Pan Pastel and some ribbon which I curled to echo those in the fairies hands. 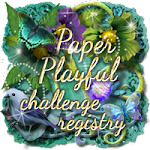 The first Sunday of the month means it's time for our new challenges at Stamping Sensations and Penny Black and More, loads of lovely prizes as usual of course and the themes of 'Wings and Things' and 'Autumn Colours'. For the top card I used some new Inkylicious stamps which I was given for my Birthday - thanks Sal, Pan Pastels of course to create the hills and sky, a masked sun and sponged sunrays and a litter bit of glitter on the tree, it's one of those images that just yells out for some sparkle. 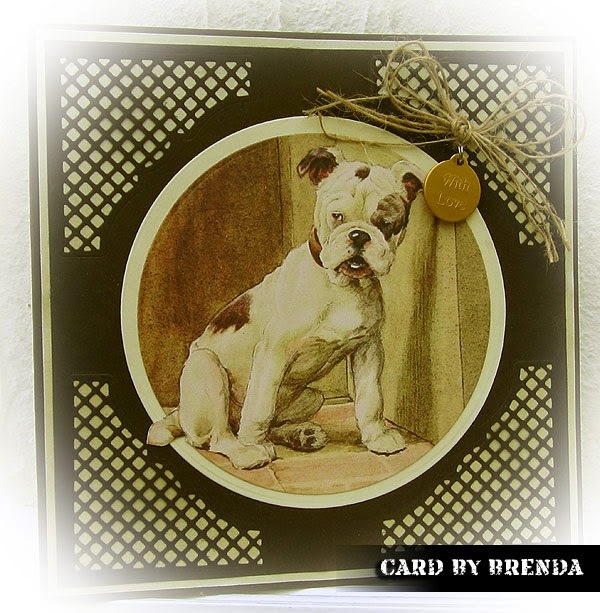 Next up my Penny Black and More piece which appears to have more sunrays.........am I addicted I wonder ? The tree is Fantasy Tree and I have always thought of it as a Christmas one but stamped in brown and Autumnal colours lends itself quite well to other seasons. The sentiment is also Penny Black. My third share is another 'Winged' one, with that theme I had to do something with butterflies as well as birds, the background is Dylusions and Glimmer Mist, the butterflies are Tim Holtz Papillon which remains one of my favorites, the script is Inkylicious and the little bubbles Chocolate Baroque. I do hope you will join in our challenges this month. Susan has chosen a theme that lots of us love Pretty in Pink for this weeks Allsorts theme were our sponsors are Craft Fairy and DigiStamp Boutique. I made a card very similar to this for a magazine commission which I blogged a few weeks ago and as I rather liked the design made another using Ignacios' Flowers Bring Smiles design sheet, some lace and ribbon and a Rubbernecker Stamps sentiment. Thank you for taking a peek and hope you all have a lovely weekend. 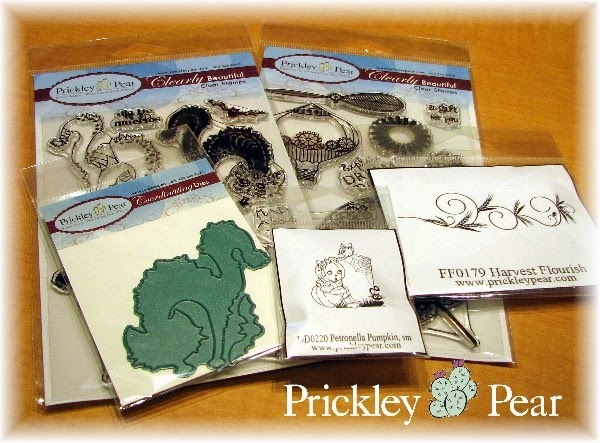 As promised I am back with another link up for day three of the Prickly Pear Rubber Stamps Blog Hop and today you should have arrived from Nicole and move on next to Tracy's blog. Before I tell you more about the Hop, I have my entry for this fortnights Butterfly Challenge where the theme is Butterfies with a Sentiment. A fairly plain and simple make with Penny Black butterflies, birdie and sentiment (cut down into three), Stampendous P107 Agapanthus Cluster all heat embossed with detail copper onto an inked and stencilled background using Pan Pastels and grunge paste. Over at the Hop there are two great prizes which will go to two randomly selected winners who have left comments on the DT's and PPRS blogs, check out the prizes below. 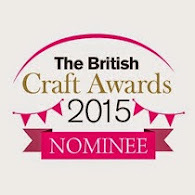 The winners will be announced on the PPRS blog here on 8th September. I will be honest and say making Halloween cards doesn't come easy to me, probably because it is an occasion that is not celebrated in the UK in the same way it is across the pond. That said I did rather enjoy making this one using an embossing folder for the background and some sanded down coredinations, one of Ruth's Tonic window dies and the black cat, bats and sentiment from one of the new clear sets. 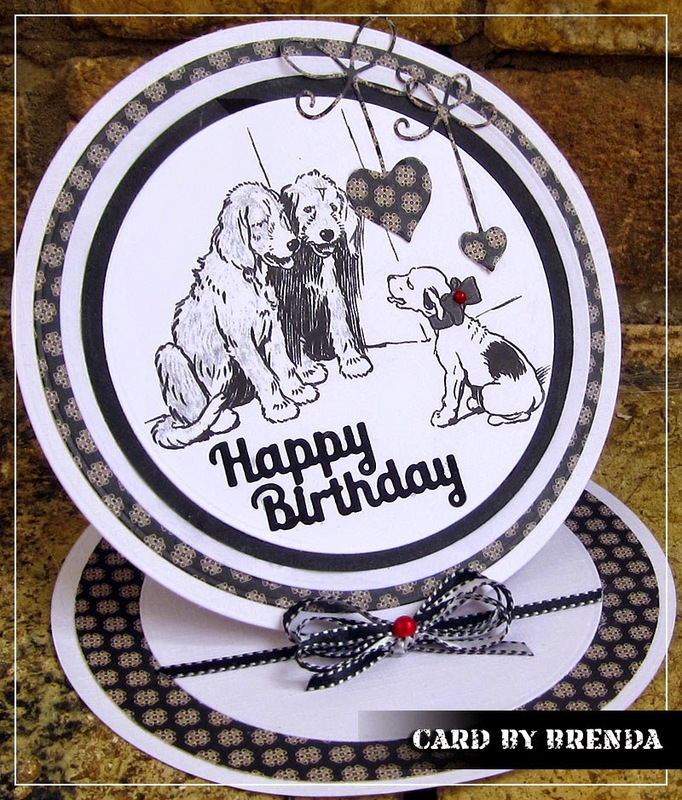 Good morning Peeps, today sees the launch of the new stamps and dies at Prickly Pear Rubber Stamps and to celebrate we are having a Blog Hop which will run for three days starting today. 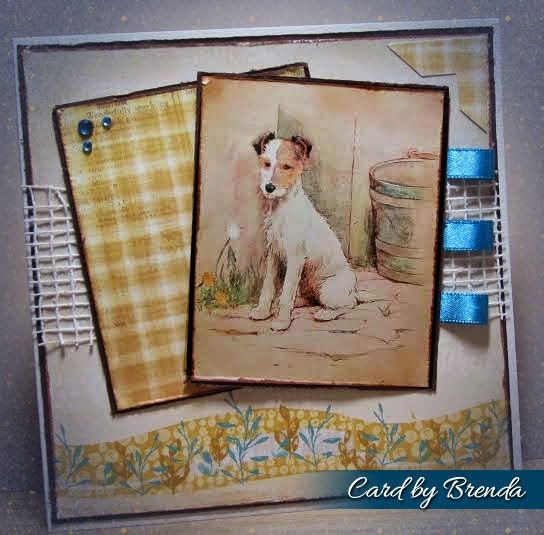 I also have my share for our new challenge at FlonzCraft Vintage Stamping Challenges where our September theme is a nice and easy one 'Anything Goes', as always there is a great prize from FlonzCraft. My FlonzCraft card uses another of my favorites called 50's Fashion Girl which I have paper pieced with Graphic 45 DP's, this one is such a pretty Oriental once with the blossoms one side and the script the other. I also made a rose from the same DP using Tonic's punch and stamp rose set. 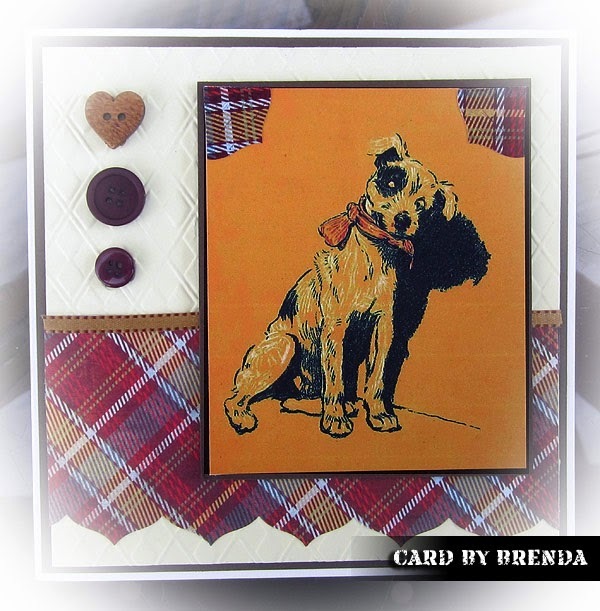 On to the Blog Hop and when you arrive here you should have come from Maureen's blog and go next to Michelle's blog and you can find the work from the whole team here. There are two great prizes which will go to two randomly selected winners who have left comments on the DT's and PPRS blogs, check out the prizes below. The winners will be announced on the PPRS blog here on 8th September. 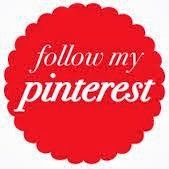 I will be back again on Wednesday with my next share in the Blog Hop.